It is with great regret and sadness that we share the news of the death of Jay Schlag, professor emeritus of the Georgia Tech School of Electrical and Computer Engineering. Schlag passed away on Thursday, September 11 at his home in Marietta, Ga. from kidney failure. He was 76 years old. Schlag was born in Greensboro, North Carolina on June 21, 1938. He received his B.S.E.E. degree from Duke University in 1960 and his M.S.E.E. and Ph.D. from Georgia Tech in 1964 and 1967, respectively. In the early 1960s, Schlag worked at Philco Corporation. 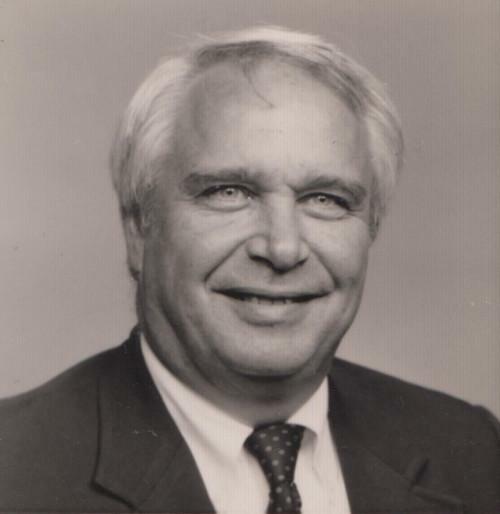 He was appointed to the Georgia Tech ECE faculty in 1967 and was promoted to professor in 1979, where he taught and did research in computer applications, computer aided design, and neural networks. Over the years, he served as a consultant for Georgia Power Company, Siemens Corporation, and King and Spalding. In 2001, Schlag was appointed as associate chair for ECE operations, where he oversaw facility and financial operations for the School. During that time, he was responsible for ECE’s planning and coordination related to the Technology Square Research Building, the Klaus Advanced Computing Building, and the Marcus Nanotechnology Building. He also coordinated the development of processes and software tools that provided support to the ECE research project and instructional accounting functions. He retired in 2004 after 37 years of service to ECE and Georgia Tech, but continued to work part-time with the School until 2008. Schlag is survived by his wife, Katharine Leonard Schlag; his four daughters, Leslie Schlag, Elizabeth Stuff (Ron), Diana Winter (Eric), and Cynthia Morneweck (Rob); and eight grandchildren, Helen, Mark, Shelby, Kate, Julia, Jacob, Elise, and Luke. UPDATE 9/15/2014: A memorial service will be held on Thursday, September 25 at 11 am at the Academy of Medicine, located at 875 W. Peachtree St., Atlanta, Georgia 30309. In lieu of flowers, donations may be made to the American Kidney Foundation.